Big News! According to Pew Internet Research, Americans under 55 now text more than they make voice calls and email. Helplines, hotlines, crisis centers and many other gateway agencies are turning to text as their call volumes decline despite a continuous rise in individuals seeking help with personal issues. Americans under 55 now text more than they make voice calls and email. So, where are they going for help? Early adopters provisioned text lines for youth and as we all know, use rates among this group have been very high. In fact, helplines that had 2-3 calls per month from youth were suddenly responding to several text encounters per day. The data is also showing that adult texters will try to contact youth text lines to get help via their preferred channel. The age range went from primarily teens in 2010, to an equal distribution of youth and adult texters by 2014. And the preference for text is very strong - 9 out of 10 texters refuse to be converted to a call. This group is expanding everyday as more and more individuals (who grew up texting their friends and family) are entering adulthood and facing a dismal job market, massive student loan debt and a disproportionately high cost of living. And it's this group that's seeking social services with the expectation they can text for help. According to practicalecommerce.com there are 4.3 billion people carrying SMS-enabled devices, and of those 96 percent send text messages on a regular basis. In fact, text messaging is the most common activity done on mobile devices (Source: Portio Research). Those who have used text Information and Referral (I&R) support as opposed to the phone-based alternative prefer to text. Over 50% of those who text for I&R once have returned for additional support. And that's over a relatively short period of time. Text message I&R has only been an option for the past 2-3 years. Individuals love the fact that they can receive support in a loud or crowded place through texting and not worry about trying to hear the specialist. And it makes sense. Who really wants to embarrass themselves in public as they discuss personal information about themselves and their families? When people have to talk on the phone in a public space they will often balk at audibly giving or receiving private information. They may not want those around them to hear about their personal needs, what troubles they are having financially, emotionally. Several studies on the behaviors around texting now confirm the belief that it's easier to ask for help by text message. I&R demand is only increasing as more Americans continue to struggle. Texting allows the specialist to provide a quality experience for the client by easily and accurately evaluating their needs and texting the referrals (rather than dictating them back over voice). And because automated triage already collected critical information, the specialist can either solve the problem in the moment or take a few minutes for more thorough research. In the end, the client will appreciate the encounter more because they have a record of it, and the referrals are now actionable resources on their mobile phone (addresses with links to their maps and phone numbers that are a click away from help). When referrals are texted instead of written down on a piece of paper that can be lost or destroyed, they are many times more likely to be utilized. It is more efficient for clients to use text rather than phone, freeing up more time for specialists and increasing productivity. Our platform allows clients to navigate through your I&R service via texting very quickly. A triage enabled opt-in will help clients provide information about their issue in advance (before they have any contact with a specialist) making the process both faster and simpler for the specialist and client alike. And now, with our Express Text Triage Tools, high use issues can be fully-automated utilities where end user receives their referrals for their zip code and the specialist never has to be involved. Plus, an I&R specialist can help multiple people at once on the PreventionPays Text platform while it would be impossible to help more than one client over the phone at the same time. There is an initial cost when adding text due to technology upgrades and training. However, the learning curve will be vastly overshadowed by the timeliness and accuracy of support being delivered (recidivism due to misplaced or forgotten information is extremely low). However, among sites currently offering I&R text, there is over 50% return rate for more help with other issues! They appreciate getting help by text. It is also important to consider the average response time to a text message is 90 seconds. How long does the average call take at your contact center? Everyday, we see texts from zip codes that are not yet supported by text. Folks will find information about 898211 on the internet from 2-1-1 websites already supporting text I&R, but when they try to text their zip code to opt in, they will get an auto-response stating that text is not currently available in their region and they should make a voice call to 2-1-1. Text enable your 2-1-1 Contact Center today! Our platform is easily integrated into any call center environment. Hotlines, helplines and 2-1-1s of all sizes have already done so and one of the most common comments we hear is, that was much easier than we thought it would be. The demographics of the texter is expanding rapidly. Data supports that adults are texting for help just as frequently as youth. 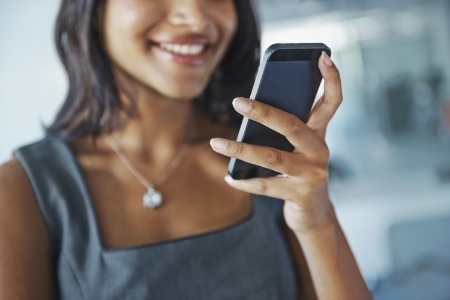 "TextChat" is changing the Contact Center paradigm. PreventionPays Text will help your contact center reach more people and recapture your audience by opening your door to the next generation of help-seekers. How long does an I&R encounter take by phone?